In a new interview with Samaritan magazine, Geddy Lee and Alex Lifeson discuss Rush recently being awarded the Allan Slaight Humanitarian Spirit Award, as well as their stance on philanthropy in general. Check it out here. Congratulations to Stewart Gilray of West Yorkshire who was the first to confirm all the correct answers to my contest questions below. The answers are: 1) What is a Foo Fighter: an unidentified object (UFO) as reported during WWII; 2) Who played on the Foo Fighter's first album? 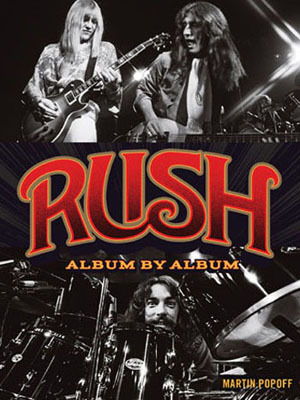 Dave Grohl played all instruments on their first album with the exception of one guitar part; and 3) Name one artist who made Dave Grohl cry, and briefly tell where/when this happened: Grohl said Neil Peart made him cry when serving him coffee at Rush's Rock Hall Induction. 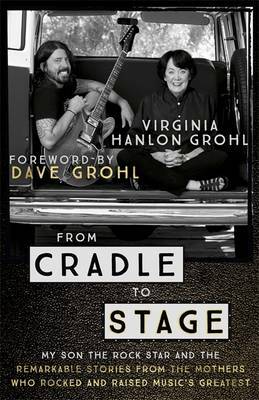 From Cradle to Stage, the new book by Virginia Hanlon Grohl hits bookstores April 25th. The mother of Grammy-winning rock star Dave Grohl, Virginia retired from a thirty-year teaching career, then jumped on tour buses and planes to travel to rock shows throughout the U.S. and Europe with her son and the Foo Fighters. Her next tour, travelling to meet the mothers of other stars, provided the profiles for her first book, From Cradle to Stage. As she watched her son's star rise, she often wondered about the other mothers who raised sons and daughters who became rock stars. Were they as surprised as she was about their children's fame? Virginia often wondered about the mystical force that urges some of us to listen, to play, to surround ourselves with music. She wanted to talk about it with the other mothers whose sons and daughters were sharing stages with Dave, and she decided to seek them out wherever they were. 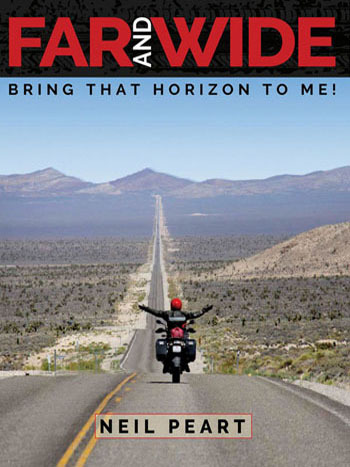 So began a two-year odyssey, where she had conversations with such women from all over the world. 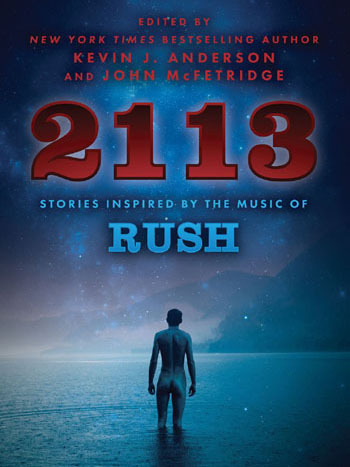 One of the chapters in the book is dedicated to Geddy Lee; in it Virginia interviews Ged's mother, Mary Weinrib, about what influenced their child to choose a musical career, and the prevalence of music in their family home. Click to order. Billboard asked more than two dozen Canadian artists what they thought of Trudeau’s vow to make marijuana legal, and -- if they are all for it -- if they could name a strain, what would it be called and what would it cure or be good for?...Singer/bassist Geddy Lee at first offers Lerxst Kush as their strain name. "That’s him,” he says of guitarist Alex Lifeson. “That’s his nickname.” But then Lifeson comes up with Lerxst Couch instead. “It’s not my forte,” says Lee, “But it is his.” “It is my forte,” says Lifeson. What would Lerxst Couch cure? 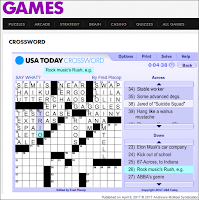 “It would cure boredom,” says Lifeson. “I was going to say it would cure ambition,” says Lee, laughing. “That’s more appropriate,” Lifeson agrees, laughing too. As was previously announced, last night Rush were awarded the 2017 Allan Slaight Humanitarian Spirit Award for their achievements and longstanding career in the music industry, social activism and support of humanitarian causes. Geddy Lee and Alex Lifeson were on hand to accept the award, which was presented by Toronto Mayor John Tory who was wearing a Moving Pictures t-shirt. On April 20, Rush will receive the Allan Slaight Humanitarian Spirit Award for its social activism and support of humanitarian causes, as well as for recognition of its remarkable music career. The award will be presented during the annual Canadian Music & Broadcast Industry Awards gala dinner in Toronto, an event during Canadian Music Week. "They're giving us an award for doing what everyone should do," Geddy Lee tells Billboard. "It should be a part of everyone's upbringing and routine of life: You share when you've been blessed with good fortune. The world needs a lot of work, and there are not enough workers. We try to help where we can." 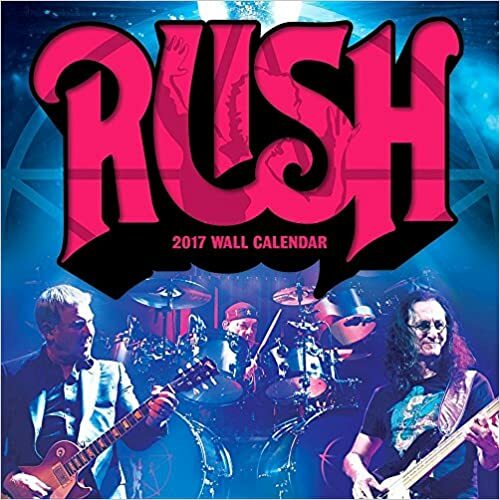 In a brand new interview with SiriusXM's "Debatable", conducted at last week's Rock And Roll Hall Of Fame induction ceremony in New York, the arthritis-stricken Lifeson stated about RUSH's current status: "I would say that it's unlikely that we'll tour again as RUSH. 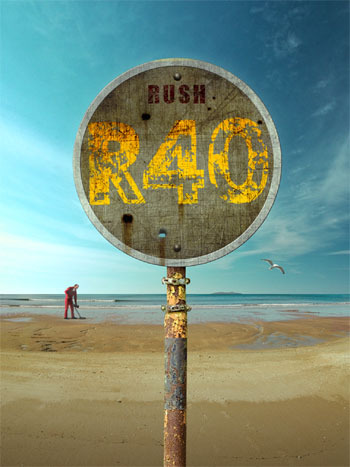 Really, we toured for forty-one years, and I have to say that first year off, I felt like I was grieving for my career and the band, but truly, forty-one years of touring the way we toured, I shouldn't feel badly about that." 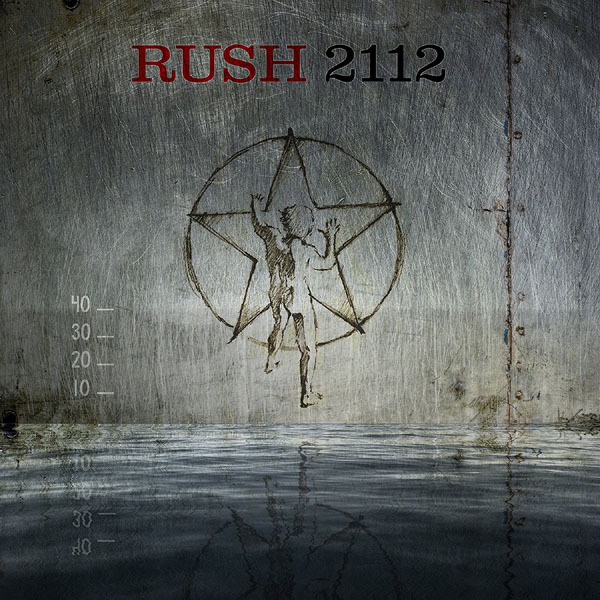 RUSH recently celebrated the 40th anniversary of its landmark 1976 album "2112" with a deluxe reissue featuring rare live and previously unreleased material, and, according to Lifeson, "right now there's some work being done on a similar thing with [1977's] 'A Farewell To Kings'." He said: "We're not really involved in that so much; it's a record-company thing, or a publisher thing. We like to be slightly involved, in just giving approvals and make sure that everything's done in a way that we would like to see it." Even though there are no plans for RUSH to regroup in the foreseeable future, Lifeson revealed that "Ged and I will probably do something together. He's been really busy. He's working on his own little book project. He's become quite a bass guitar collector, and he wants to do a little thing on the history of the instrument. So that's keeping him super busy." 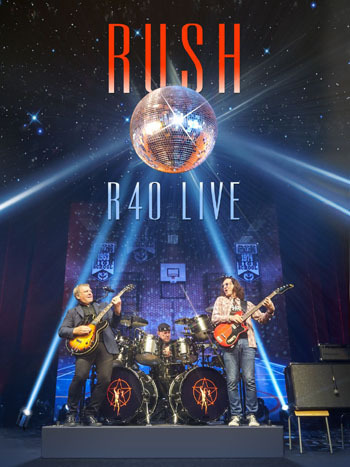 As for Peart, Lifeson said: "I'm not sure what Neil's doing these days. He's on the West Coast. He's always got something going on." 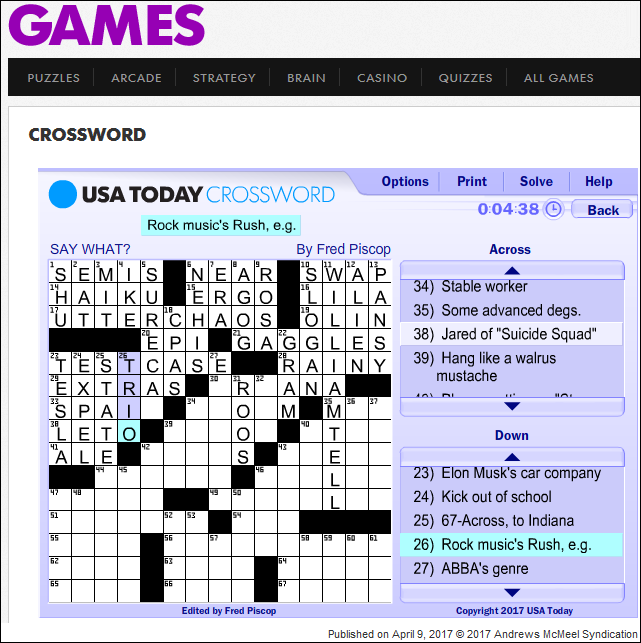 Yesterday's USA Today crossword puzzle has the clue "Rock music's Rush, e.g. ", for which the answer was "trio". Thanks to Bill Oross for the headsup! Geddy Lee addresses why he didn't play a Rickenbacker during "Roundabout", and of Chris Squire's influence. Rollingstone.com has posted a followup story with some backstage comments from Geddy Lee. "As I said during my speech, I was turned on to them through their second album Time and a Word," Lee tells Rolling Stone after exiting the stage. "I've been a huge fan ever since, just an over-the-top fan of them for years." As a bassist, Lee was thrilled to be able to perform "Roundabout," a song he considers to be "one of the great bass songs ever written, in the history of recorded music." After already agreeing to induct Yes, Lee had been asked to join them for a performance by the late and influential bass player Chris Squire's widow and the remaining members of the band. "Seeing as I was going to be here anyway, why not?" As Lee said during his induction speech: "It's not overstating things to say it changed the way I played and listened to music forever. So here we are, decades later, and the music of Yes is still ﻿echoing down through the years, showing me that music truly is a continuum." Lifeson shared the profound influence of the band on his life during the induction speech as well. "Yes were my gateway band in so many ways," the guitarist says. "There's nothing so fleeting yet enduring about the way music feels when you're 17 years old." 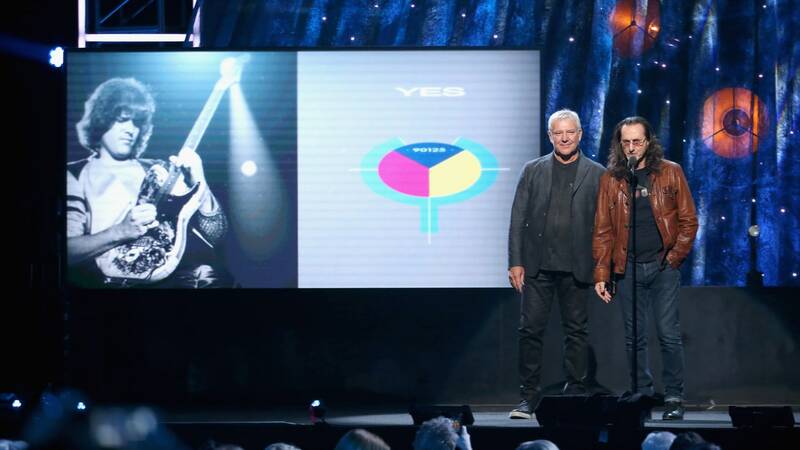 Tonight Geddy Lee and Alex Lifeson inducted Yes into the Rock and Roll Hall of Fame. You can read their speeches below courtesy of Rollingstone.com. Following their speeches, Geddy joined Yes during a performance of "Roundabout", which you can also view below. The show will be broadcast April 29th on HBO. Lifeson: We're honored to be here tonight doing this. It's really, really great. We all start somewhere. For me, my journey with Yes began when I was a teenager gently fishing out the Yes album out of its sleeve being just a bit freaked by the disembodied head on the cover, placing the needle on the groove, sitting back, letting the music wash over me. I may have smoked a cigarette or something [laughter] but Yes were my gateway band in so many ways. There's nothing so fleeting yet enduring about the way music feels when you're 17 years old. As Yes played in my room, I played too. I spent hours picking my way through songs like "Starship Trooper" and "Yours Is No Disgrace." How wonderful is that swirling outro in "Starship Trooper"? I must've played that a million times. But I loved their music. Even more, once I learned to master ... not that I never really did. I never did them justice. But I loved them still. Yes helped give me the gift of music, which is everything as you know. They made me want to be a better musician and that provided some of the determination to one day stand on this stage giving tribute to this amazing band. I'll leave you with this: the musical choices we make in our youth help to mold who we become. Choose the guitar intro for "Going for the One." Choose learning to play "Starship Trooper" on a cheap secondhand guitar. Choose Chris Squire's amazing bass tone. Choose Jon Anderson's ethereal vocals. Choose Fragile﻿. Choose wearing a cape before Rick Wakeman did. This guy right here. Choose staying out all night to see your favorite band. Choose "Roundabout." 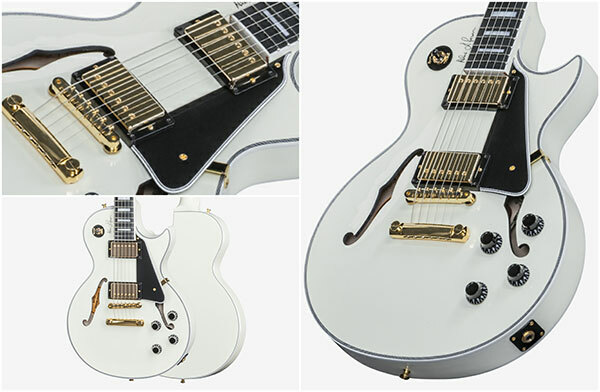 Choose the glorious guitar work in "Owner of a Lonely Heart." So beautiful. Choose the Rock and Roll Hall of Fame. And definitely, choose Yes. Lee: ﻿Blah, blah, blah. [Laughter] I'd like to ask the Rock and Roll Hall of Fame to indulge me a few moments to share some personal experiences of Yes, the band. So picture this: in the early Seventies, I spent from one to three years in Grade 10 in high school seated at the back of the class with my new pal Oscar. He sat just across from me, and the teacher's words were bouncing aimlessly off us as Oscar riffed on some of our favorite ﻿Monty Python ﻿skits. He had me at the dead parrot gag. How could we not become friends? But it wasn't just the Ministry of Silly Walks that we bonded over. 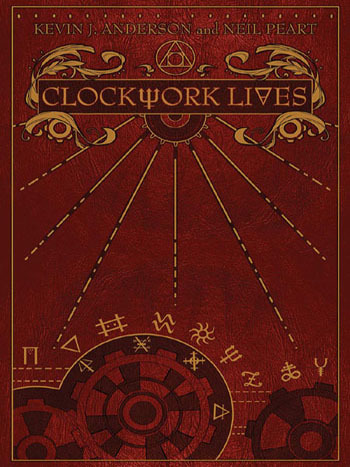 I could still recall one of the days that we opted out of school and were sitting cross-legged on the floor of Oscar's room as he introduced me to an album called ﻿Time and a Word﻿ by a band called Yes that I never heard of. I still thrill to the bass part in "No Opportunity Necessary, No Experience Needed" the way I did the first time I heard it that day. For years people asked me why I played a Rickenbacker bass, and all I have to do is point to that album, that song and Chris Squire's incredibly original playing. Then Oscar played me "Yours Is No Disgrace" then "I've Seen All Good People." We both sat there open-mouthed as the songs rose up around us and our musical worlds shifted and fell from its axis. I might've been a young musician jamming in basement grooves in Toronto, but through Yes, I was tuning into a wider world of possibilities. One where music seemed to have no limitations. It was a crisp night in 1972 when Oscar and myself and this guy, Alex Lifeson, wind up overnight around the block in what was then Toronto's Maple Leaf Gardens to finally witness Yes live for ourselves. The sky was a high dome of stars, and as I recall, Alex kept us going by nipping to the store and bringing back honeydew drinks. Really. I could close my eyes now and I'm back there. Intellectually, visually, viscerally sitting in row 10. It was like nothing I'd ever seen or experienced before. It was actually profound. It's not overstating things to say it changed the way I played and listened to music forever. So here we are, decades later, and the music of Yes is still ﻿echoing down through the years, showing me that music truly is a continuum. On behalf of Oscar, my good friend and Alex's Neil, who is not here tonight, Alex and myself, I say thank you, Yes. It's our great, great privilege and our great honor to right a terrible wrong and to finally welcome Yes into the Rock and Roll Hall of Fame. Aimee Mann Talks New Album, ‘Mental Illness,’ and Working with Rush on "Time Stand Still"
In a new interview with Guitar World, Aimee Mann looks back on recording with Rush 30 years ago. 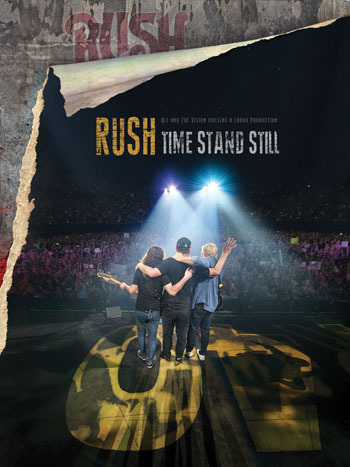 This year marks the 30th anniversary of Rush’s “Time Stand Still,” to which you contributed a memorable vocal. How did your involvement with the band come about? I’m not sure if they had heard a song of mine or someone told them about me, but they contacted my manager at the time and asked me if I wanted to sing on it. 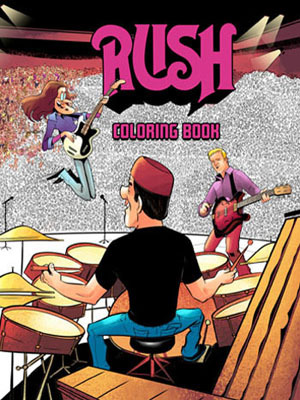 I didn’t know Rush’s stuff that much but I thought, why not? I liked the song and thought the part was really pretty. Originally, Geddy Lee was singing it. He’s got such a powerful voice and I remember saying to him, “Dude, your falsetto is so great. You shouldn’t have me.” But they really wanted to have a different singer on it. I’m very proud that I had that opportunity. - Thanks to Stephen Humphries for the headsup!